Vegan Grilling Guide 101: Green Tips, Foods, Tools. 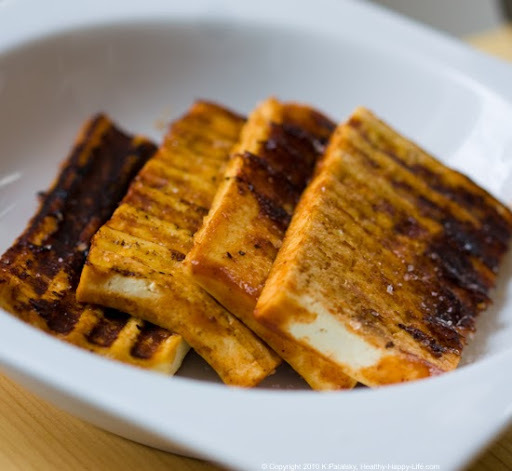 For the first part of my Vegan Grilling Series, Paninis and Grill Marks, I'll be covering the basics in Veg Grilling 101: green grilling tips, fave veg grilling foods and flavors, options for tools and my easy clean-up tips. Memorial Day Grill-Fest! The biggest grilling weekend of the year is just a few weeks away and I'm grill-tastically excited. Grab your "Kiss the Grillmaster" chef hat and polish up that spatula - this is your summer to get behind the grill (or humble panini press). And this grill season meat is out and green is in! Why Should Meat-Lovers Have all the Fun? Who says the grill season can only be celebrated by our non-vegan buddies? I've gone to one too many BBQ's where my sad garden burger sat lonely on the grill - sequestered to a tiny corner. *Use the Good Stuff. Try to cut down on the common after effect of a big backyard grill fest: bags and bags of throw-away garbage from plates, plastic cups, plastic silverware and napkins. 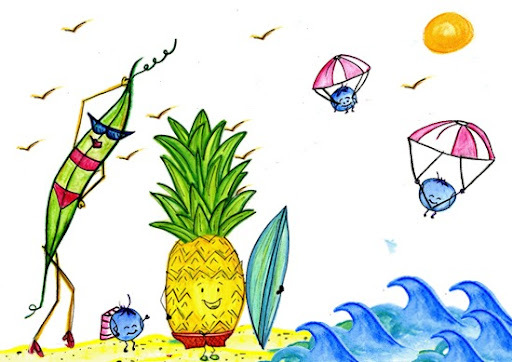 OK, throw-away napkins are one thing - but maybe bring out a nice stack of reusable glasses and plates for your BBQ feast - less garbage - even if you do have an extra dishwashing session. *Grill Veg. 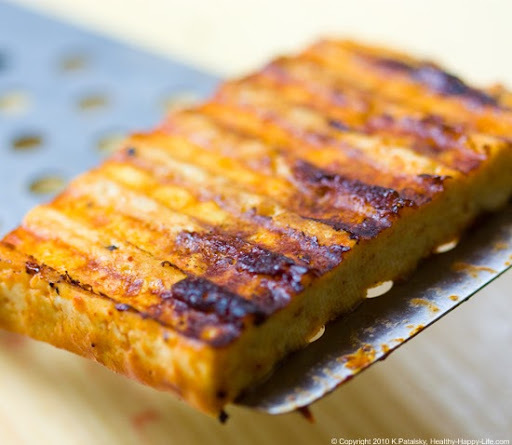 Obviously, this is a vegan-themed blog so I will only be chatting about veg grilling recipes. But it's never too late to share your veg grill goodies with your non-veg*n friends - there are a few veggie burgers, grilled mushrooms and grilled tofu recipes up my sleeve that even the meatiest meat eater will ogle at. Healthier for you, and the planet. ...Cooking meat dirties the air more than most people realize. *Gas or Electric is Better. But not the best... Smoke contributes to smog, so obviously if you can grill without the smoke (aka charcoal black smoke BBQ pits) the air will thank you. Electric grills may be the greenest choice. Gas is better than charcoal. But obviously a real flame can up the taste of your grilled goods - compared to electric. But as you'll see from my series - it is quite possible to get delicious results from a simple indoor electric grill. ...FYI to inventors, the market is wide open for a modern, cost-savvy, solar or wind powered grill. Simply google "solar grill" and you'll see what I mean. No options (except the one I mentioned above). 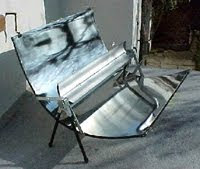 I did find this modern solar grill called Helios. But its just a concept, not for sale. Love it though! Treehugger has a few more green grilling insights. Some fabulous Green Grilling Tips from GRIST here. 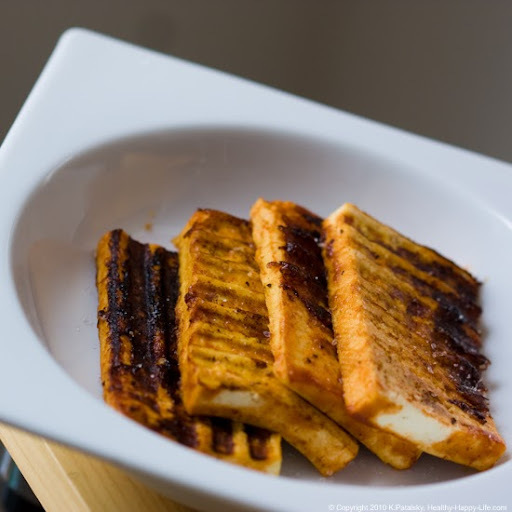 Vegan Foods to Grill and Panini. Once you are inspired to get grilling, you'll need to do a nice shopping trip. The ingredients for grilling are pretty basic - and as always, using the freshest in-season produce makes for the most successful grilling fare. Even paninis taste better when accented with fresh, local, seasonal ingredients. 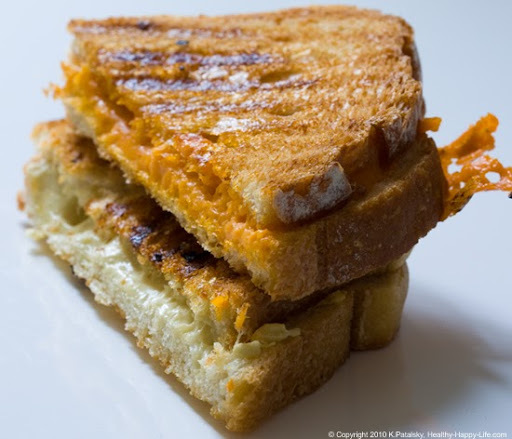 Wild ramps, Daiya cheese, pear, vidalia, pink salt and harissa panini anyone?? Fruits like pears, apples and pineapple hold up very well on the grill. See my top fruits to grill list here. Proteins. There are many alternative proteins to grill in place of meat. You can take the easy route and grab some frozen veggie burgers and 'fake meat' from companies like Boca, Morningstar Farms, Gardenburger or Gardein. 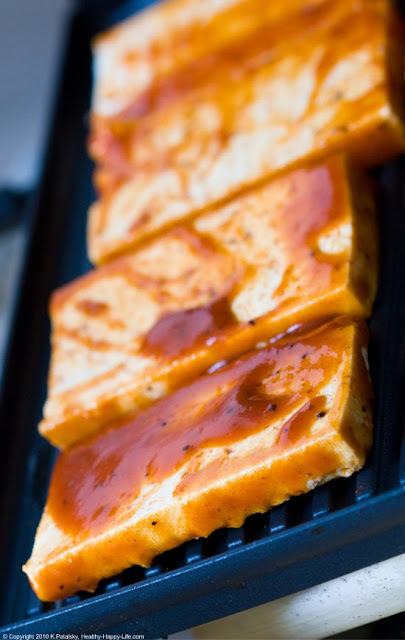 Or you can take a few more steps to marinate your own proteins like tofu and tempeh. Or you can be really adventurous and make your own veggie burgers by mashing up grains, beans, spices and herbs. Everyone needs a really good vegan burger recipe up their sleeve! Like this one. Spices, Rubs, Marinades, Flavors and Seasonings. You'll need some basic seasoning ingredients like a good black pepper grinder and a sea salt grinder. Course salt is my preference for accenting grilled veggies. I love Trader Joe's pink salt grinder. You can also start collecting some grill rubs and seasoning mixtures to add your own spin of flavor to your grilled foods. Citrus is a very important flavor enhancer for grilled foods. Lemon juice rocks. But you can also get creative and use lime, grapefruit and orange juices to enhance the flavor of your fave grilled veggies. Although I think you'll agree that grilling is all about letting your ingredients speak for themselves. Quality is very important in grilled foods. Fresh produce shines on the grill. And for flavor enhancing - all you really need is a pinch of s and p, maybe a squeeze of citrus and a stroke of EVOO and you'll be in grilled eats heaven. A nice extra virgin olive oil, some apple cider vinegar and soy sauce are other basic liquid accents for grilling. For paninis - you'll simply need your bread, fillings and maybe a light brush of spread on the outside of the bread. I use EVOO/vegan butter/Vegenaise. When Grilling: KISS. Keep it Simple Silly. Classic Combos like grilled asparagus, lemon juice and sea salt is what grilling is all about. Keep it simple and you'll truly fall in love with the laid-back mindset that should take over when you grill. Start Simple too. 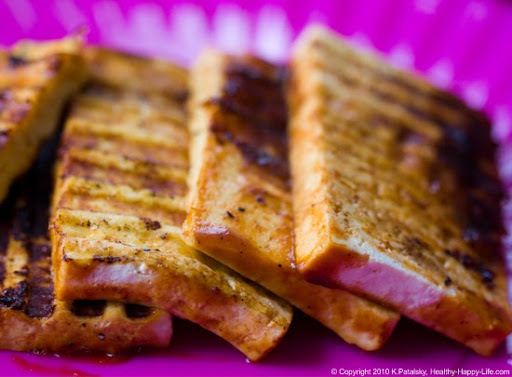 For your first panini, make a simple grilled cheese sandwich. For your first veggie grill - try portabellas, thick onion slices or asparagus. Start simple, find your groove and more elaborate dishes will follow. Clean-Up is Easy. Once you choose some tools for your grilling and panini-making (see below) you'll want to make cleaning a breeze. My Krups panini press is awesome because it really just wipes clean with some elbow grease and a wet paper towel. I get off any grit by scrubbing some vinegar on the panini press grill plates. I have found that baking soda is also a perfect cleaning tool for a gritty grill. Veggies are generally pretty easy to clean up after thank goodness!